How Does Bing Measure Content Quality? People are always going on about how SEO is important for their rankings, how marketing will popularize their blog, how important updating your blog regularly is, and so on. But the most important of all would have to be the content. Quality content will make or break your site, and at the core if it all, it's content that makes your blog successful. We've talked about how Google looks at quality content. Let's look at another perspective, and see what Bing has to say about quality content. These insights come from Michael Basilyan, Senior Program Manager from the Bing Content Quality Team who posted on the Bing Blog about how Bing's algorithms determine what makes for content quality. Content quality is obviously a primary factor in Bing ranking algorithms, along with topical relevance and context. 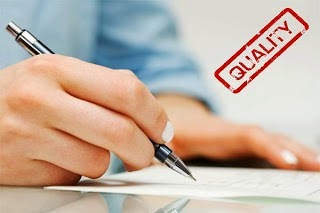 Content quality can be thought of as comprising three primary factors; authority, utility and presentation. Can we trust this content? Bing defines authority as if they can trust the content. How do they know if they can trust the content? It is not just about the links pointing to the page but also about how established the web site and web page is. In addition, Bing looks at signals from social networks to see if the author is well cited, recognized and an authority in the space. They also explain that how they determine authority changes by query segment, where health authorities need professional documents written about the authority. Is the content useful? This is about determining if the page written is useful and detailed enough to the searcher for them to accomplish their task. Does the page have enough supporting citations. Is it detailed enough for the typical searcher. Bing also prefers to see videos, images and graphs on the page – those are signals of utility and content quality. A factor that may harm the content quality is repurposed or “recycled” content. They want pages that are the source of that data or do unique things with the data, not just pages that recycle the content from the source. You will note that Google's Panda algorithm isn't very different from this. This goes on to show that search engines want one thing and one thing alone - quality content. It doesn't matter what search engine you're targetting - the basics remain the same.